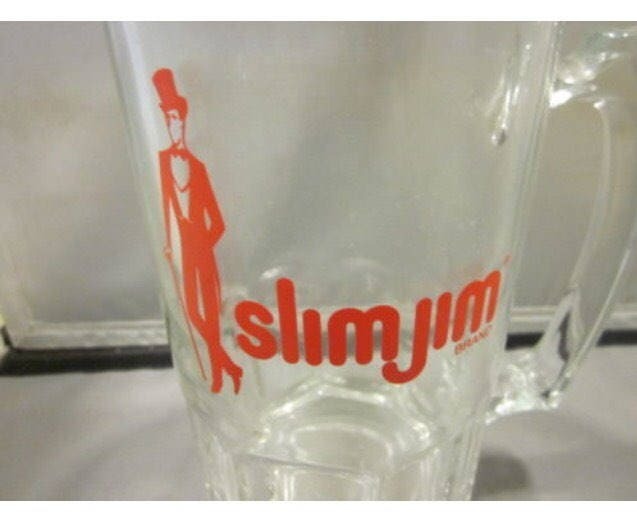 SLIM JIM mug with the image of a tall dapper man, top hat and cane in hand. 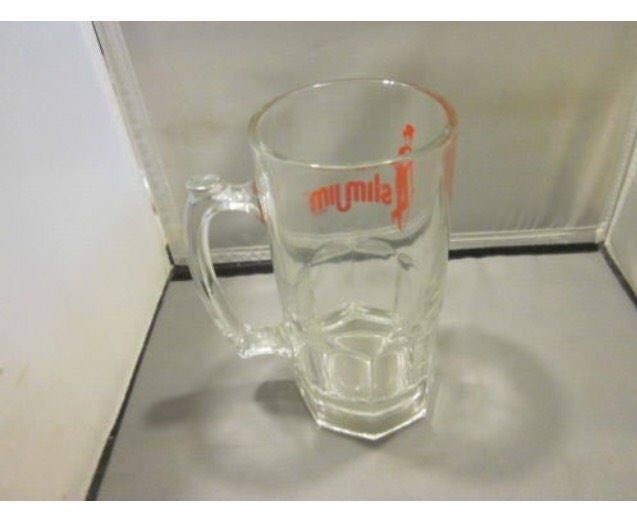 INSIDE MUG MEASURES 4 x 8 inches; HANDLE EXTENDS further. 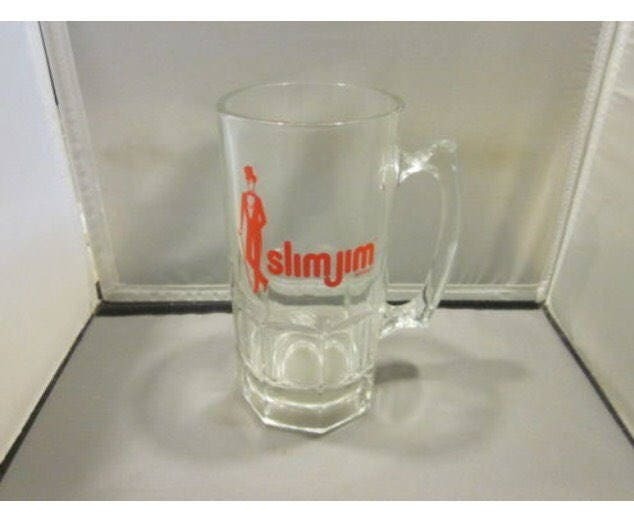 This tankard holds 32 oz and the thick glass keeps your ale cold till the last drop! very heavy gauge and sturdy glass.